This is a wonderful old platter (7” by 5”) made by the Hanley, England, potter Bishop & Stonier Ltd in its Hard Rock Hotel Ware trade name for the Cosmopolitan Hotel that was located on South Railway and Montreal streets in Medicine Hat. Architect was William T. Williams. 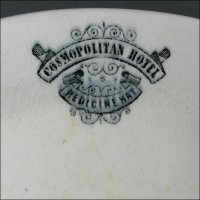 I can’t find when it was built, but it had major additions in 1908, 1911 and 1918, all to accommodate the rising population traveling to and settling in Medicine Hat. 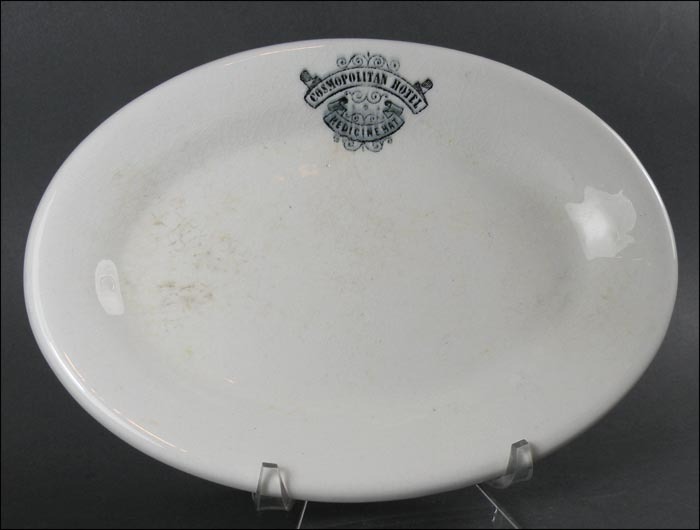 The platter is in excellent condition with no chips or cracks and only light-to-medium utensil use. 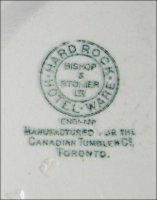 However, it does have overall crazing, which would be a reflection on the quality of the so-called Hard Rock manufacturing, and there is an area of discoloration under the glaze on the left size. And as can be seen, there is some blurring to the decal, also a by-product of manufacturing. 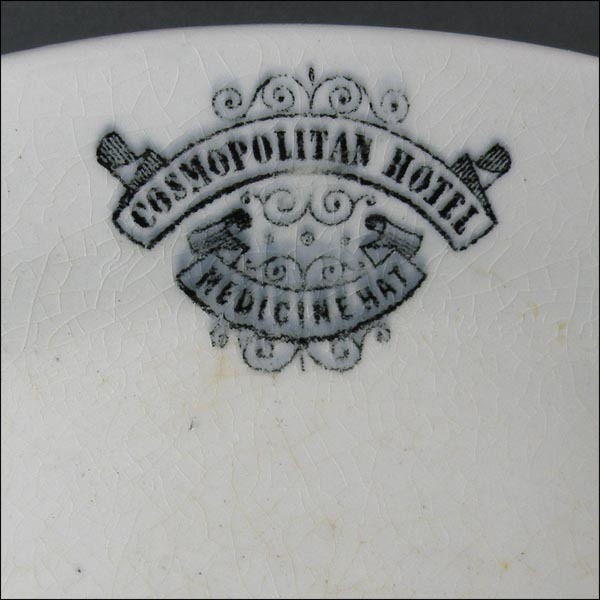 This is an extremely hard-to-find artifact from the Cosmopolitan, and I love the graceful way it shows its age.